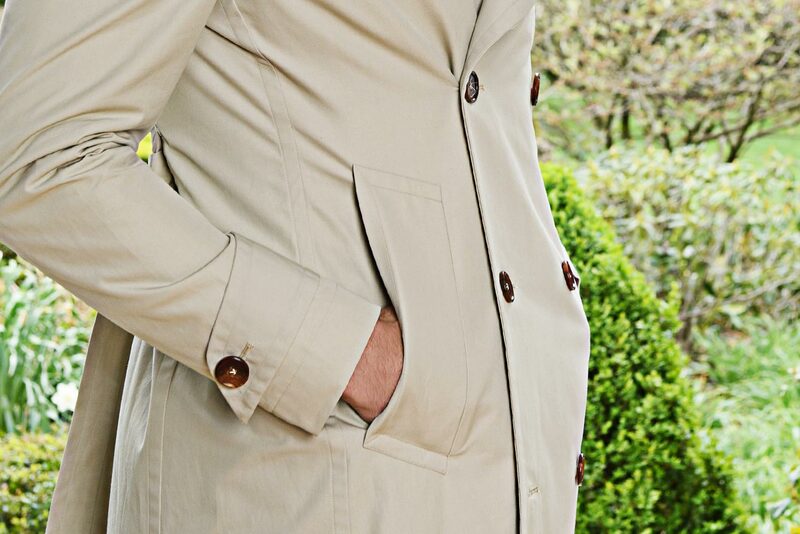 For more than 100 years, the trench coat has been an iconic staple of men’s and women’s outerwear. While countless fashion trends have come and gone, this long, double-breasted jacket with style and functionality has survived the tests of time. 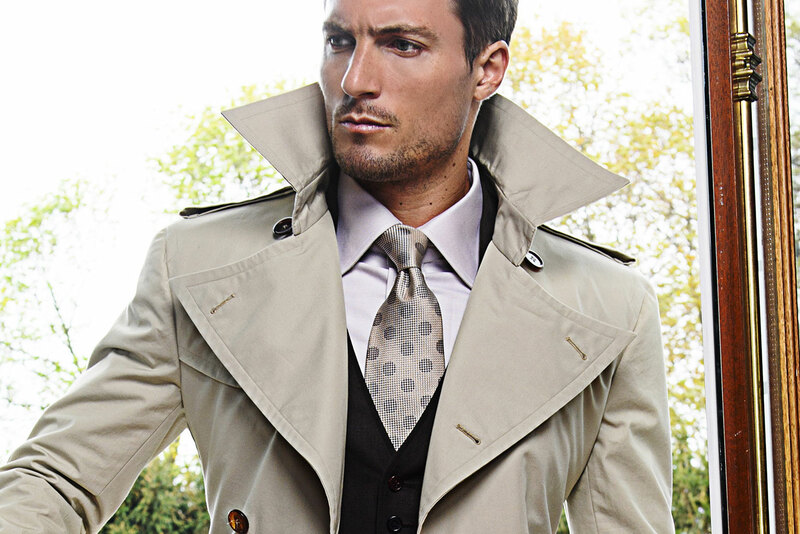 Despite its popularity, however, many trench coat wearers today have no idea how or why their look of choice came into existence. 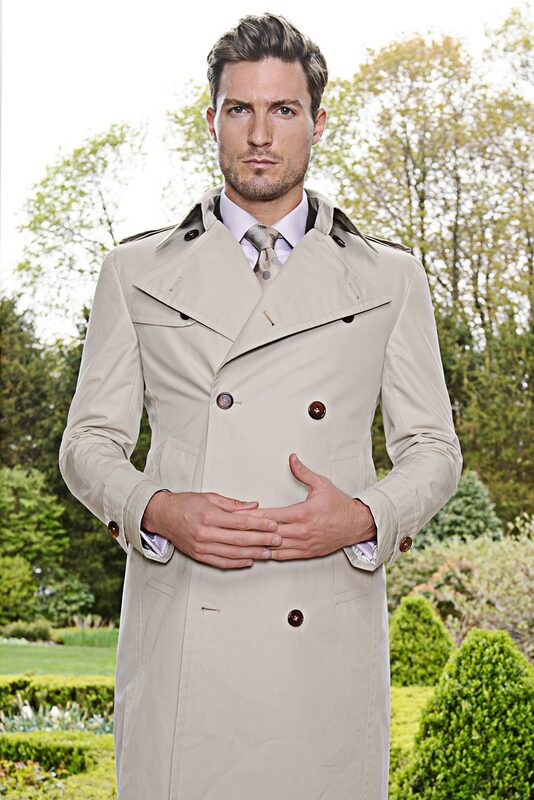 The story is, like the trench coat itself, worth appreciating. 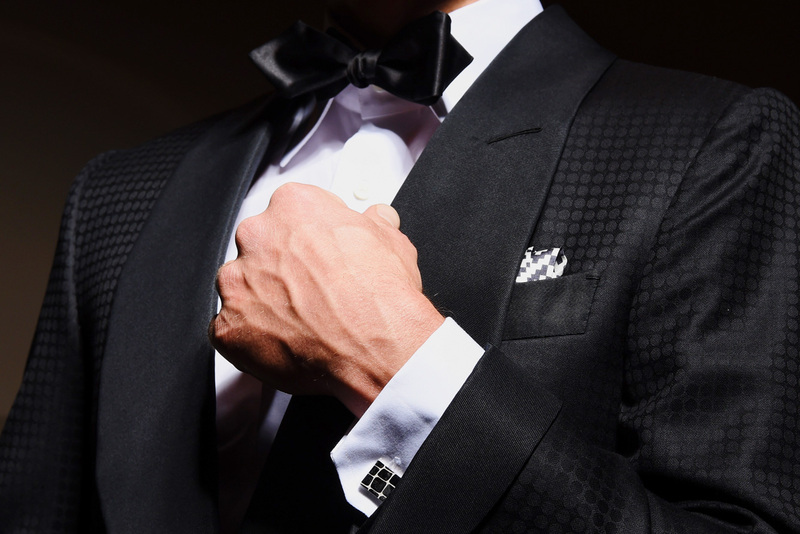 In the late 1800s, men’s outerwear was bulky, hot and smelly. Military wardrobes inspired civilian fashion, and military dress at the time involved greatcoats — thick, heavy, woolen — and rubberized “macks,” which protected wearers from rain but stunk, literally, to wear. The stage was set perfectly for a garment suitable in military and civilian life, a coat breathable and light enough to be comfortable but rugged and weatherproofed enough to withstand the elements. The title of “inventor of the trench coat” is the subject of much debate, and it will likely never be settled. Two sportswear companies — Aquascutum and Burberry — both make the claim. 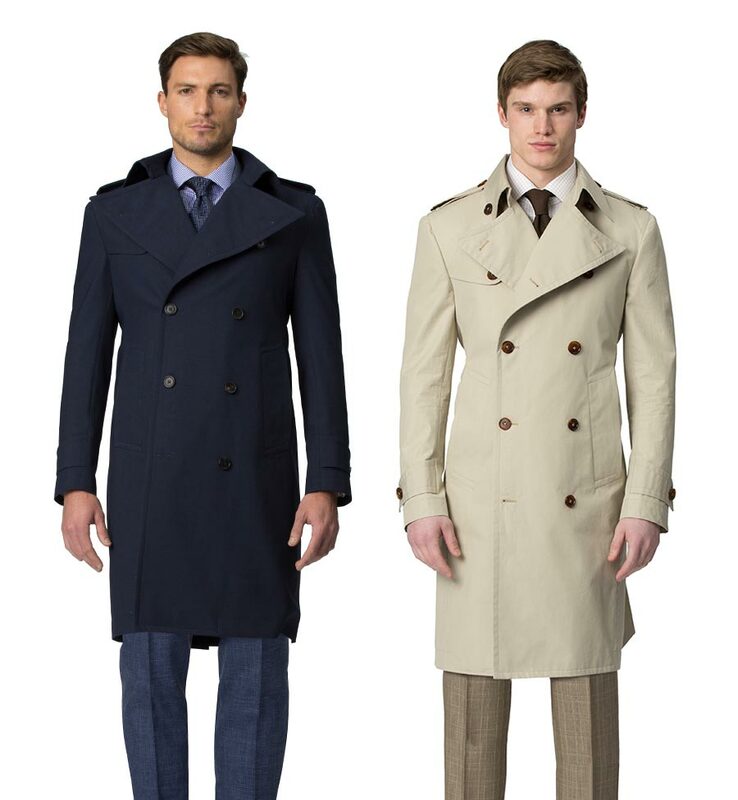 The former was designing new types of water-repellant clothing as early as 1853, while the latter, under the direction of young Thomas Burberry, was by 1879 introducing customers to gabardine, a new twill that was both breathable and weatherproof. These early steps laid the foundation for the trench coat’s birth — all that was missing were the trenches. World War I introduced humanity to trench warfare, and early on it was clear that old-fashioned British military dress would no longer suffice. Trench coats were designed specifically to improve soldiers’ fortunes; even as they kept out water and warmed the wearer they were comfier, lighter, better camouflaged and better ventilated than their predecessors. Stylish enough for the officers who wore them, the coats were equally as functional — among other handy features, the coats’ belts had rings to hook on accessories, their back capes drained water, and their removable inner linings doubled as bedding or pillows if necessary. Initially, only British officers owned and wore trench coats, which distinguished them from the rank and file — a distinction that denoted class differences as well, for military officers at the time came from the aristocracy. Because of the devastation wrought by the war, though, a need to promote working-class infantrymen to officer roles soon arose. For these men of humble birth, known as “temporary gentlemen,” the trench coat quickly became a symbol of status and class. As the war went on, trench coats took civilian culture by storm. The coats, already being mass-produced to serve the war effort, appealed to everyday customers for the same reasons they appealed to servicemen: They were all-around more functional and comfortable than anything else on the market, they communicated an air of sophistication, and they looked good no matter what was worn underneath. After the war, Hollywood boosted the garment’s popularity. Cool characters like Humphrey Bogart immortalized the look in films such as Casablanca and The Maltese Falcon, as did leading ladies like Marlene Dietrich. And the rest, as they say, was fashion history. Trench coats today still bear an incredible resemblance to the originals worn in the War to End All Wars — and Burberry and Aquascutum still make them. 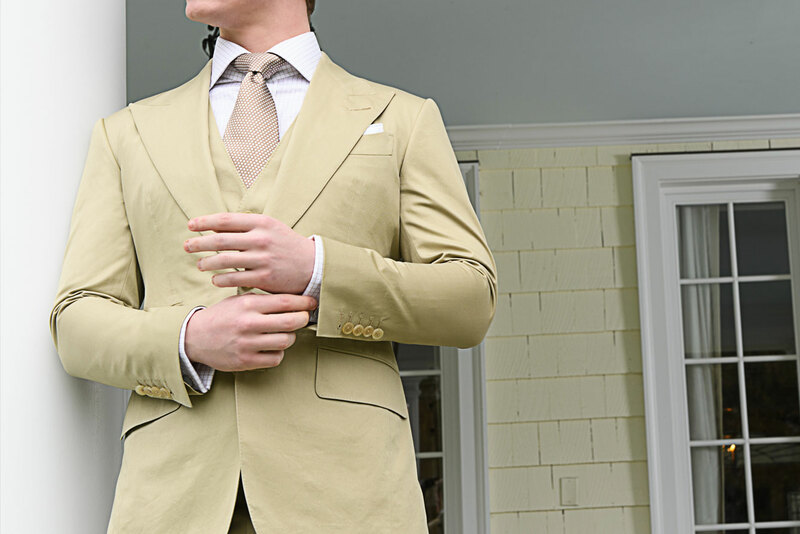 Modern variations have arrived, of course, but the signature khaki look will forever be the standard. The trenches, thankfully, are long gone, but the trench coat is here to stay. 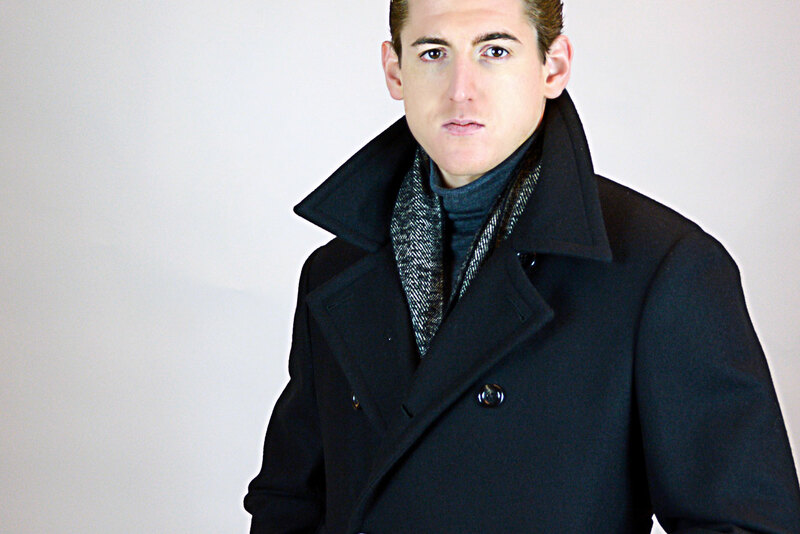 Michael Andrews Bespoke offers custom trench coats, overcoats, and jackets both in store and online. Browse through our online collection, or book an appointment in our New York studio to meet one on one with a personal stylist to design the perfect bespoke trench coat.